PS-1270 12V 7AH - Absorbant Glass Mat (AGM) technology for superior performance. Valve regulated, spill proof construction allows safe operation in any position. 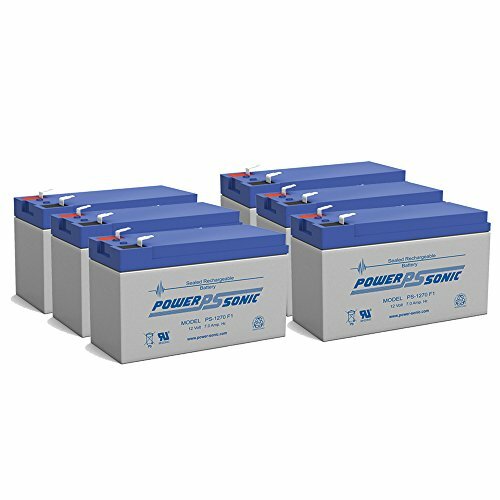 Common uses for the PS-1270: Consumer Electronics, Electric Vehicles, Engine Starters, Golf Carts, Hunting, Lawn and Garden Tools, Medical Mobility, Motorcycles, Photography, Power sports, Portable Tools, Solar, Toys and Hobby, Access Control Devices, Emergency Lighting, Security. Dimensions: (L) 5.95 x (W) 2.56 x (H) 3.86. Weight: 4.80 lbs.